You can add presets making it quick to find your favourite stations, and by using GPS it should be able to find the closest local stations to your current location. It runs fine on both Wifi and 3G, however my test to try and listen to 6 Music on the morning drive failed as I hit patches of 2G, where the connection speed was just too slow. 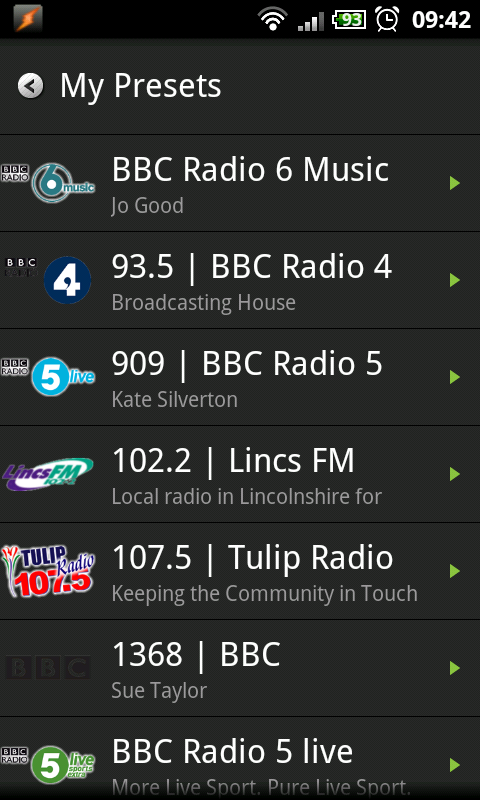 The only problem I’ve got so far is that the station icons have a transparent background, but one to be used with a white/light background, making stations like BBC Lincolnshire almost invisible. As this app is free (ad supported), it’s worth installing on your Android phone. 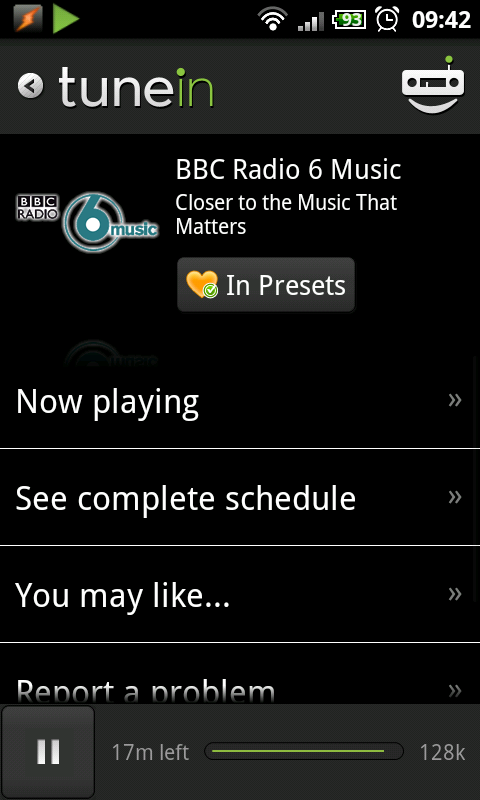 This is a quality app; works a treat on my HTC and sounds far better than any other radio app for phones I’ve used. Top stuff, cheers! I downloaded it a couple of weeks ago to listen to the Sale v Quins rugby on BBC Manchester Sport while sat backstage at Proms in the Park. Great app!